Medical Science Units I and II, constructed in 1958 and 1969, house research activities for the Medical School. This project features a renovation of approximately 50,000 gross square feet to provide updated laboratory and support spaces for modern biomedical research activities. This project will update several areas within Medical Science I and II buildings to accommodate the departments of Otolaryngology, Radiation Oncology, and the Upjohn Center for Clinical Pharmacology, currently housed in the Kresge Building Complex. 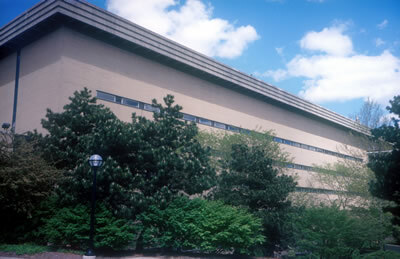 In addition, some of the spaces that house the Department of Molecular and Integrative Physiology in the Medical Science II building will be renovated. Spaces will be reconfigured to improve efficiency, and upgrades will be made to provide new casework, flooring, ceiling, lights, and wall finishes. The scope of this project includes the architectural, mechanical and electrical work necessary to accomplish these improvements.